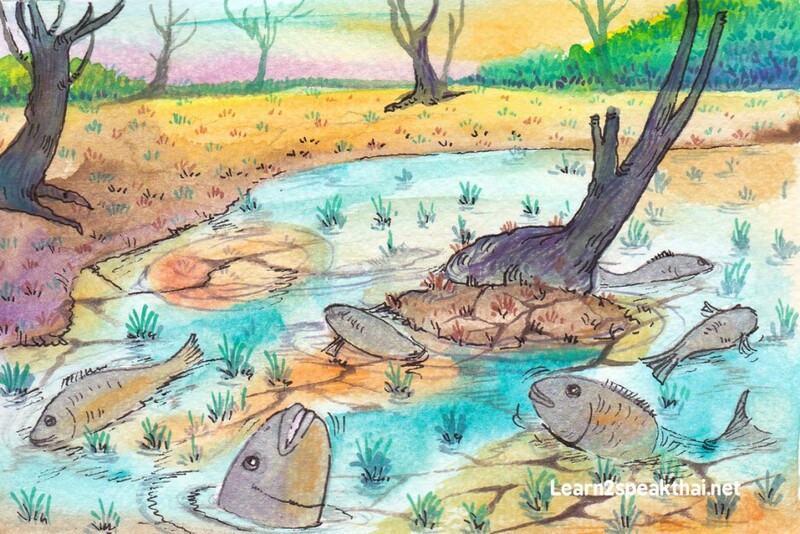 If a fish is trapped in shallow water, it is unable to move to catch food or to escape predators, or it may not even be able to get enough water through its gills to survive. If we plan a project we must give it sufficient resources of the right kind so that it can be successful, otherwise it will flounder and die. A person in the wrong environment will not thrive. A child with very special learning needs will not be able to learn in an intensely academic environment. Somchai can answer all the difficult questions until the last question which is very easy he doesn’t know the answer. It’s called a miss is as good as a mile.